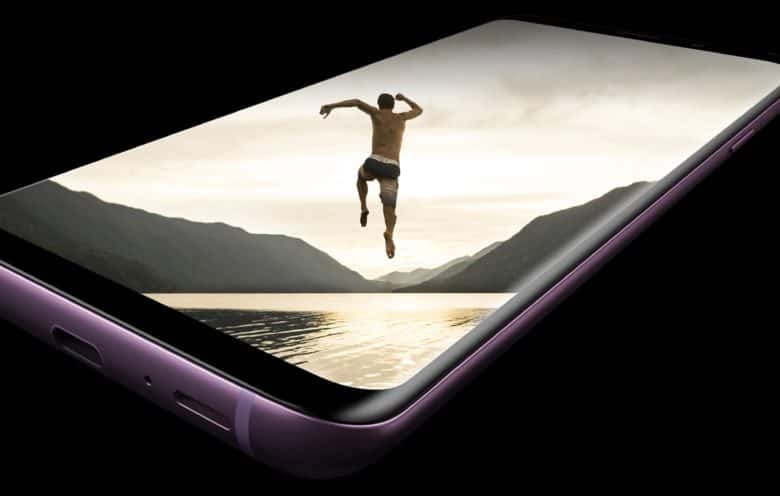 Samsung’s newly announced flagship Galaxy S9 phone is getting destroyed by the iPhone in early benchmark tests. It’s far, far slower than Apple’s recent models and even much slower than the two-year old iPhone 7. 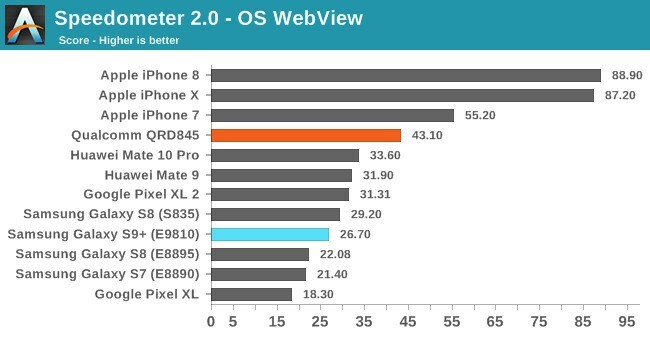 In a Speedometer 2.0 OS WebView benchmark performed by Anandtech, the iPhone 8 scored an 88.9, the iPhone 7 came in at 55.2, and the Samsung Galaxy S9+ was at a measly 26.7. Samsung’s upcoming phone uses this company’s new Exynos 9810 processor which isn’t shaping up to be very quick. 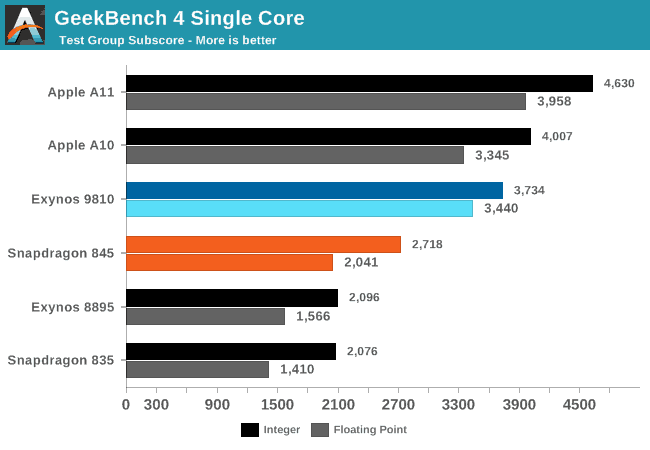 In the GeekBench 4 Single Core test, both its integer and floating point scores came out well behind the Apple A11 chip used in the iPhone X, 8, and 8 Plus. The S9’s processor also came out second best to the iPhone 7 and 7 Plus’ A10 chip in its integer score, if not in floating point performance. A caveat for this data is that these tests were performed on a pre-release Samsung Galaxy S9 on display at the Mobile World Congress trade show, and it’s possible Samsung will be able to improve the performance of the device before it goes on sale. That said, the March 16 launch date is only a couple weeks away, which doesn’t leave much time for tweaking. Those wanting Samsung’s newest flagship should be prepared to pay a hefty amount, and significantly more than some of Apple’s new offerings. The prices various U.S. carriers are going to charge for the Galaxy S9 will vary somewhat, but most of them will ask a bit over $800 for the Galaxy S9 and slightly more than $900 for the larger S9+. For comparison, the iPhone 8 starts at $700 and the 8 Plus is $800, so both are more than $100 less than their equivalent Samsung models. Of course, Apple’s flagship, the iPhone X, starts at $999.